Tired of the tourist hordes, traffic jams and general clamour of Cabo San Lucas, Mexico? 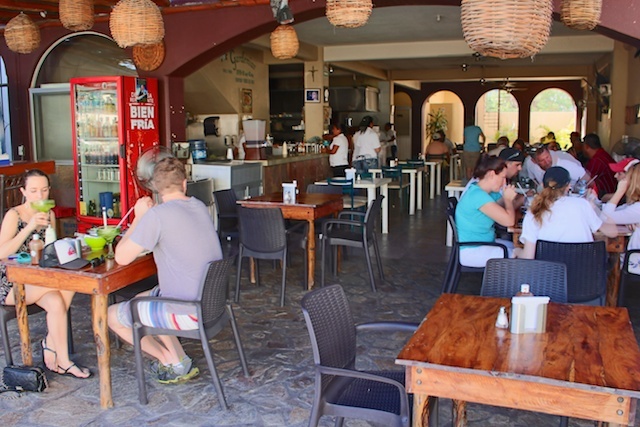 Just head an hour north, on excellent Highway 19, up the Pacific side of the Baja Peninsula. Stop first for a long, sandy stroll at Cerritos Beach, where you can watch surfers and families frolic in the waves. Then continue north a little ways to Todos Santos, a true oasis in the otherwise parched landscape. This entry was posted in Mexican food, Mexico, Restaurants, Todos Santos and tagged Todos Santos Mexico, todos santos restaurants on January 9, 2015 by bcorbett907. 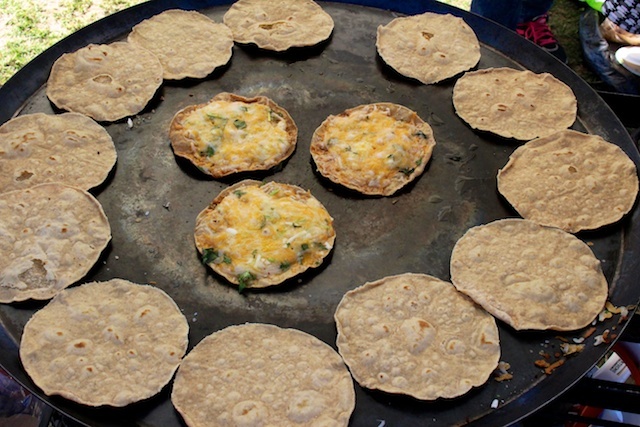 The problem with many restaurants in Mexican resorts is they try too hard to tart up basic street food. 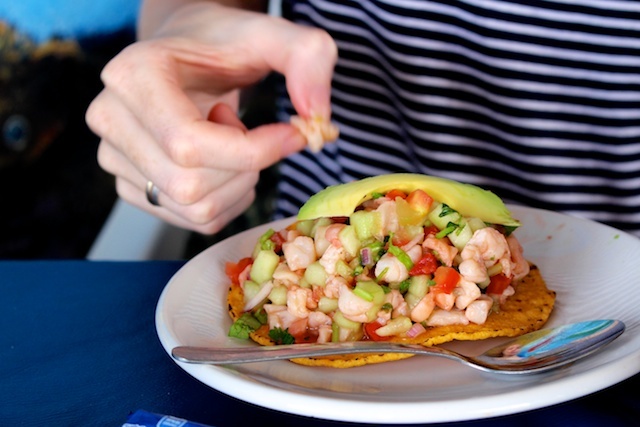 When all you want is good, simple food, expertly prepared, for a handful of pesos. 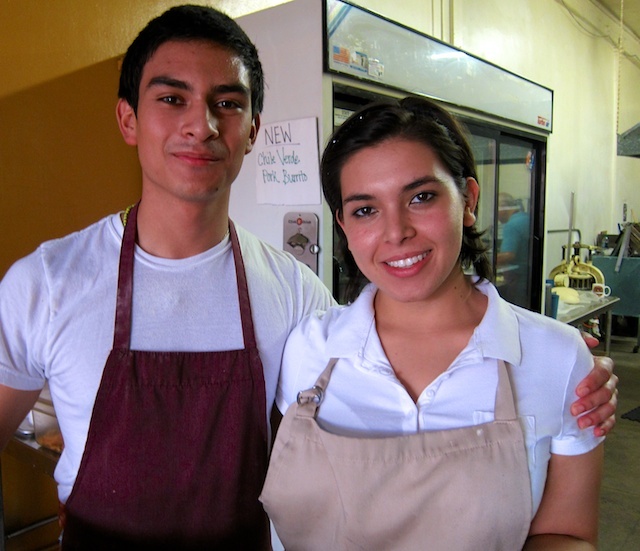 Welcome to Tacos Gardenias, an unpretentious taqueria a couple of blocks from Cabo San Lucas’s main, Medano Beach. This entry was posted in Cabo San Lucas, Mexican food, Mexico and tagged Cabo San Lucas Mexico on January 5, 2015 by bcorbett907. Two themes dominated my 2014 road-trip eating adventures in western North America. 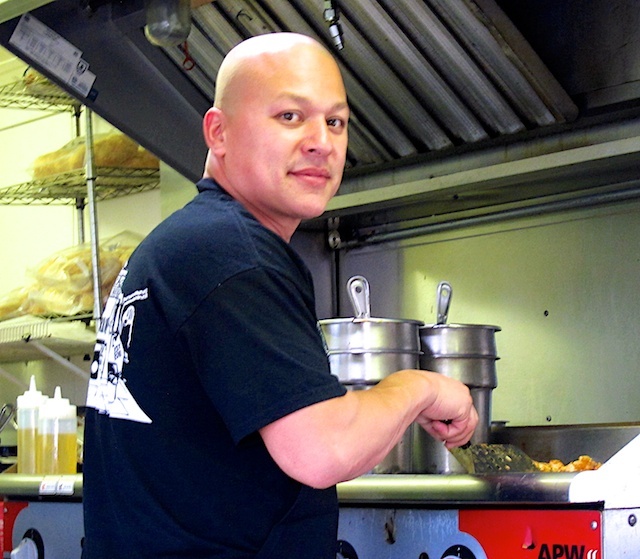 One was the preponderance of top-end chefs setting up shop in food trucks and churning out imaginative, excellent and most affordable fare (maybe the release of the fun movie Chef is an instance of art imitating life). The other theme is how geographically diverse these winners are. Yes, the ethnic cauldron of Los Angeles produced many of my top choices. But so did unheralded southern Washington; take a bow Walla Walla and Tri-Cities. So did a lot of places not considered culinary hotbeds. I’m thinking of you Logan, Utah, Idaho Falls and Salmon (both in Idaho), and Mayne Island, a tiny place in B.C.’s Gulf Islands. 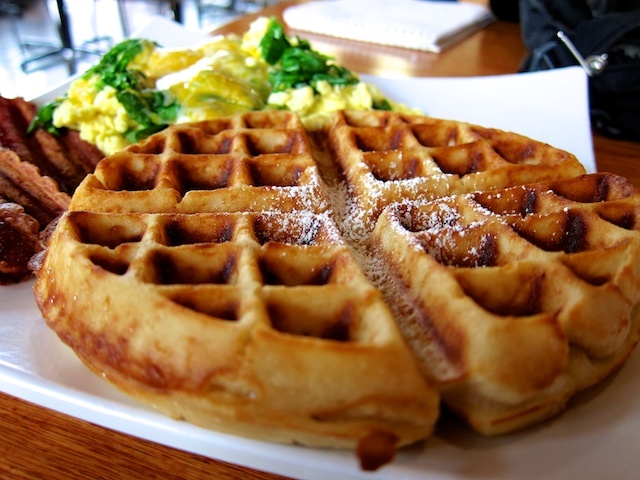 Restaurant breakfasts are often the least healthy meal of the day. The holy pairing of grease and carbs bring together eggs cooked in butter, fat-laced bacon, oily hash browns and yet more butter smeared on a whack of toast. Alternatively, you can toss a pound of gluey, syrup-drenched pancakes down the hatch. So it’s nice to see more eateries throwing a healthier curve at the morning equation. Heck, when well done, it can even taste better than the old comfort fare, without the post-meal need to curl up in the fetal position. Lotus Cafe is a treasure in touristy Jackson, Wyoming. Where it really shines is its imaginative breakfast bowls, like a sprouted buckwheat granola or a raw acai with a ton of fruit and other healthy goodies. Even the oatmeal is unique, featuring nutmeg and cardamom and a topping of pecans, dates and figs. Ironically, there’s not a lot of bacon on the menu at Bacon & Eggs in Walla Walla, Washington. And you can get tofu or egg-white omelettes. 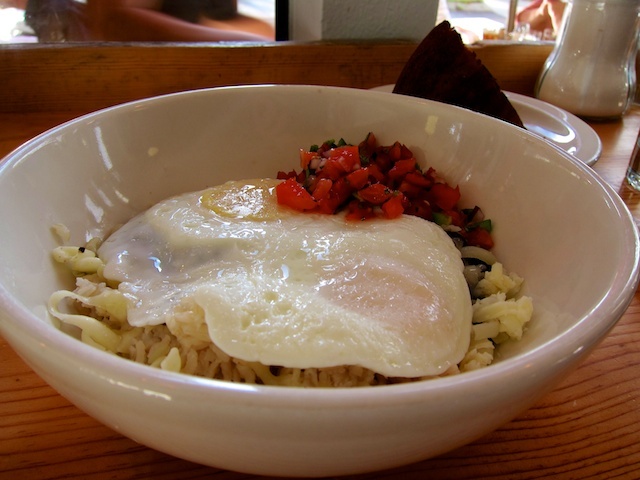 But what catches my attention, and taste buds, is the Texas eggs, served atop brown rice and black beans, with a heavenly slice of house-made cornbread. 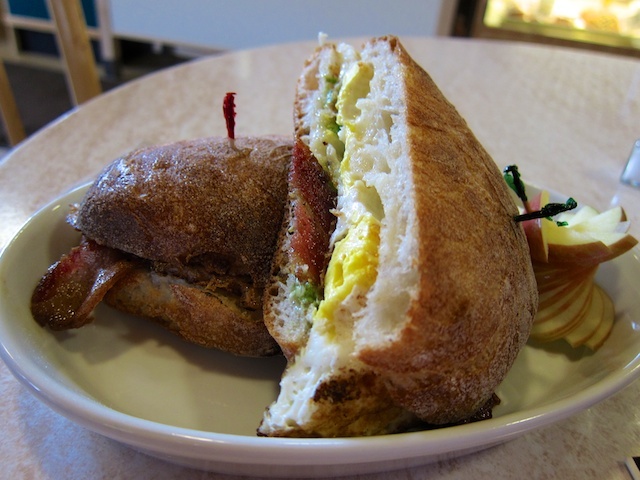 Not often does a lowly breakfast sandwich make me swoon. But it certainly does at Crumb Brothers Artisan Bread & Cafe, in Logan, Utah. 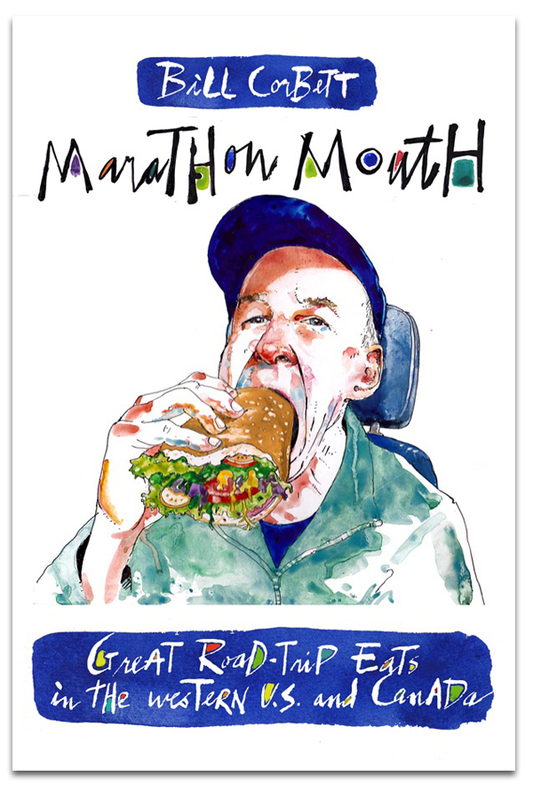 It’s the excellence of all the ingredients—from an ethereal ciabatta bun to lemon aioli—plus the painstaking execution that propels it into the stratosphere. Yes, the fresh-roasted coffee is great at Iconoclast Koffie Huis in Edmonton, Alberta. As is the ultra-cool coffee bar, built from repurposed wood in this old warehouse. But it’s the half-hour conversations with co-owner Ryan Arcand and assorted regulars that make this a great coffeehouse in an era of heads glued to screens. 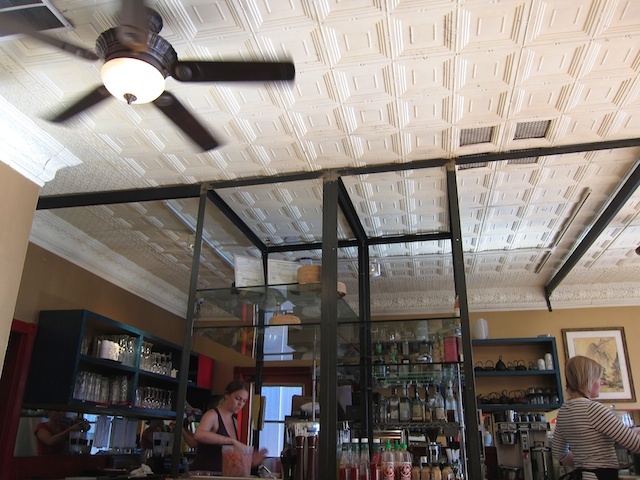 Honourable Mentions: They both boast custom-built Slayer espresso machines and excellent coffee. Where they differ is in their decidedly unique locations: SnowDome Coffee Bar in a Jasper, Alberta Laundromat, and Strom Coffee, inside a refurbished Airstream trailer in Richland, Washington. purebread is based in the B.C. resort town of Whistler. 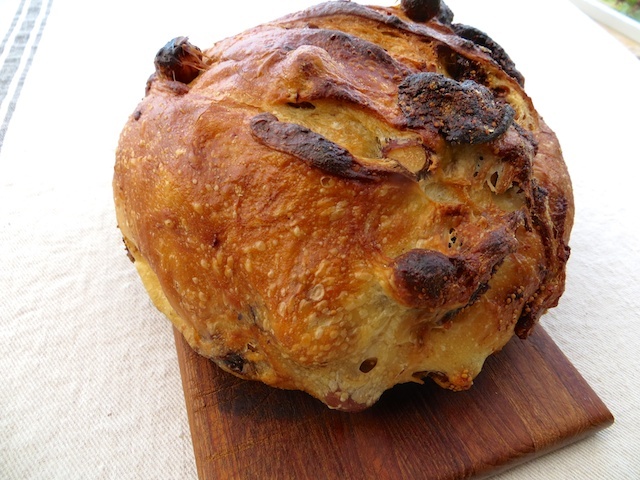 But I encountered it at a Vancouver farmers’ market, where folks were lined up to buy its creative roster of breads—how about a sour cherry chocolate, a Disfunction Ale or an amazing fig loaf studded with hazelnut slices? The sign of a great bakery is when you can’t stop buying… or eating. Indeed, the crumbly slice of cornbread vanishes before we’ve walked a hundred feet. 1, 1104 Millar Creek Road (another location in Olympic Plaza), Whistler, B.C. 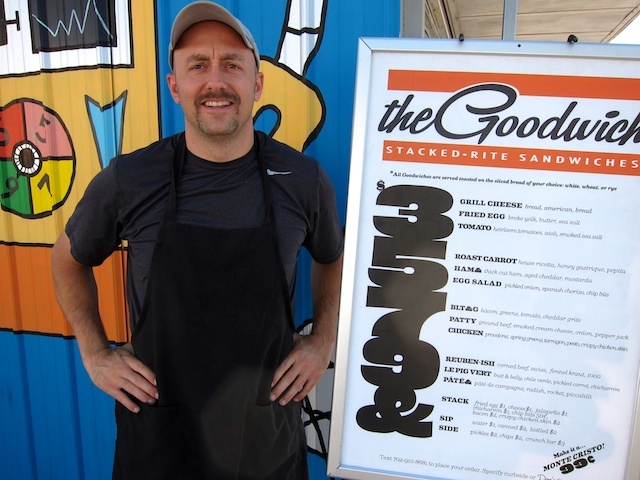 In a crowded list of contenders, tiny food truck The Goodwich, in downtown Las Vegas, stands out. Why? Because co-owner and high-end chef Josh Clark believes you can take almost any first-class ingredients and slap them between two slices of bread to create amazing, affordable sandwiches. 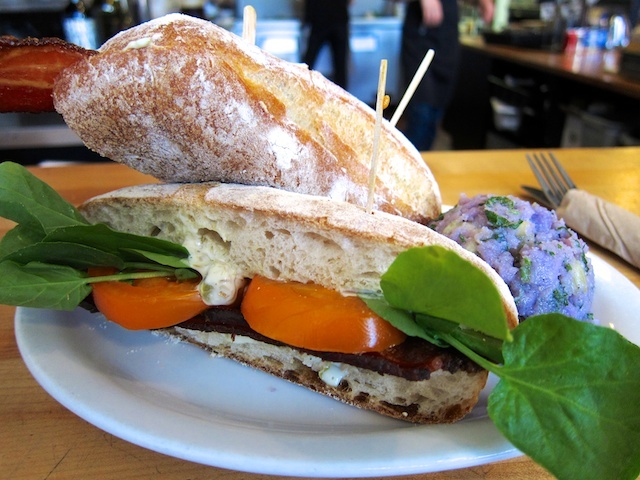 Honourable Mentions: Magpie Cafe, in Sacramento, California elevates the generic BLT to godly status with orange heirloom tomatoes, thick slices of bacon and caper aioli on a fresh baguette. Simply excellent. Yes, the oven-roasted turkey on sourdough is outstanding at grungy Junkyard Bistro in Salmon, Idaho. But what slams it out of the park is the fabulous side of chunky potato salad. This deserves its own category in 2014, since I spent some time in the global burrito hotbeds of San Francisco and Los Angeles. 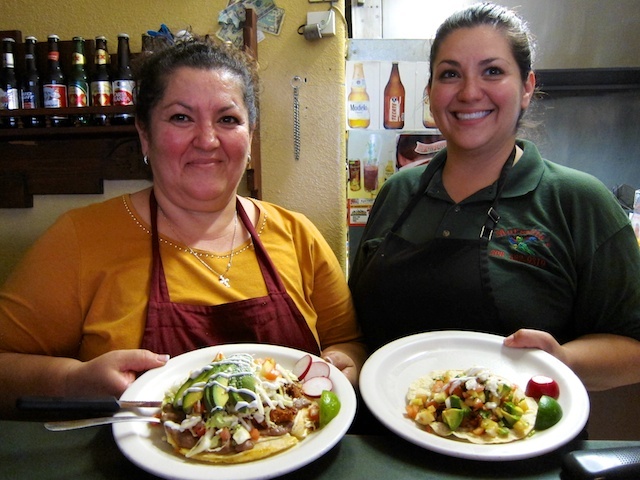 The best of the best was longstanding, family-run La Azteca Tortilleria, in East Los Angeles. The killer ingredients include a fresh-ground, toasted corn tortilla, good steak and, the kicker, a whole chile relleno dipped in egg and then fried. I hoover down this messy puppy in the front seat of my car in under five minutes. 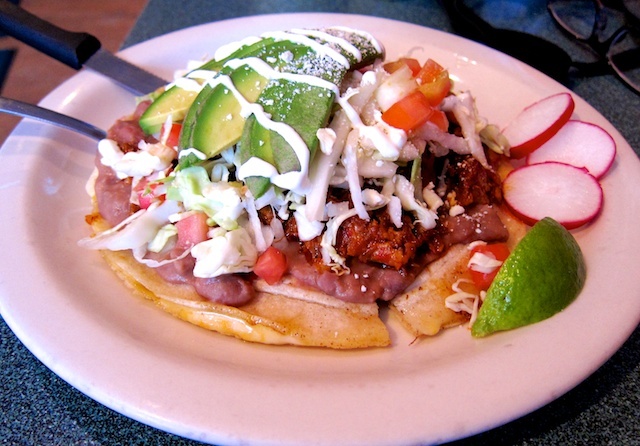 At El Fat Cat Grill, in Kennewick Washington, chef-owner Felix Sanchez is mixing Mexican and Asian influences to come up with tasty, affordable gems like crispy tortillas smothered in pork, chipotle mole sauce and jalapeno coleslaw. 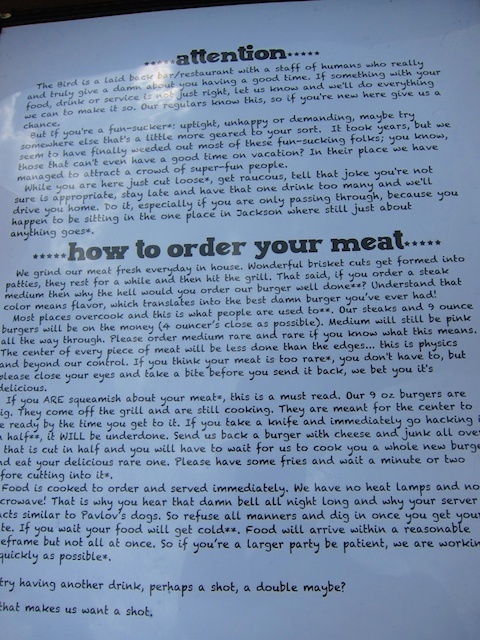 Almost as good as the fresh-ground, perfectly cooked burger at The Bird, in Jackson, Wyoming, is the full page of the menu advising you how to order your meat. Let me summarize: Don’t dare ask for well done. Una Pizza + Wine’s Twitter feed lets you know how long the wait is at this exceedingly popular little joint in Calgary, Alberta. So best arrive early to order an outstanding, thin-crust pie—like roasted crimini mushrooms with smoked mozza and truffle oil—along with a mountainous kale Caesar salad topped with a boiled egg. Korean food is celebrated for its barbecue, plus all those interesting little dishes that come as appetizers. 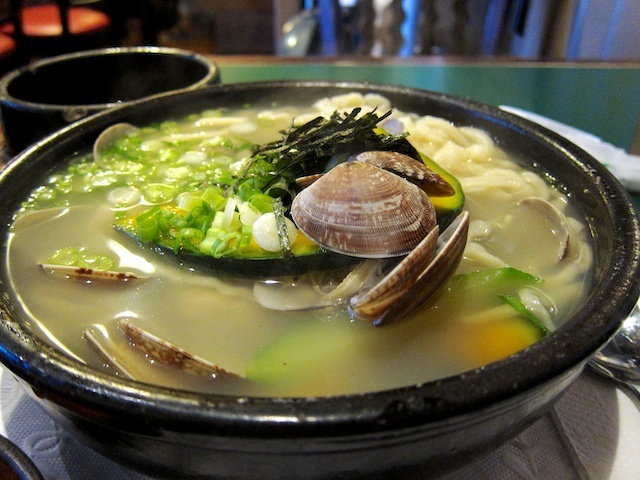 But at Hangari Bajirak Kalgooksoo, in Los Angeles’s Koreatown, the standout is a huge bowl of Manila clam kalguksu with a boatload of engorged, hand-cut noodles. 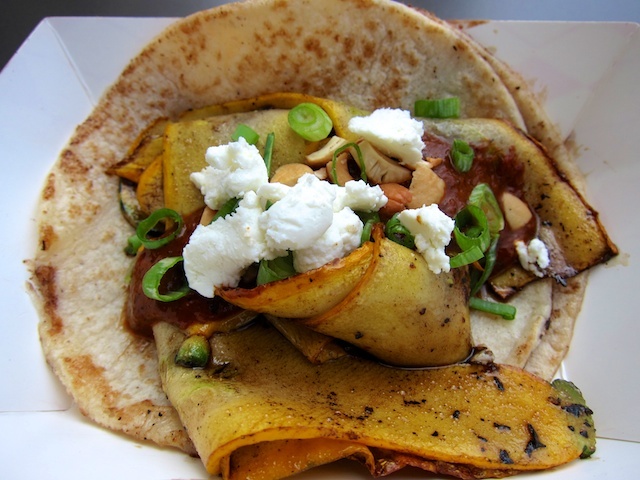 Guerrilla Tacos owner-chef Wes Avila is storming the Los Angeles food world with a truck that’s spinning out stunning delights like a summer squash taco with runny chile and cashews. I don’t often get sushi on a road trip: it’s expensive and, all too often, generic. 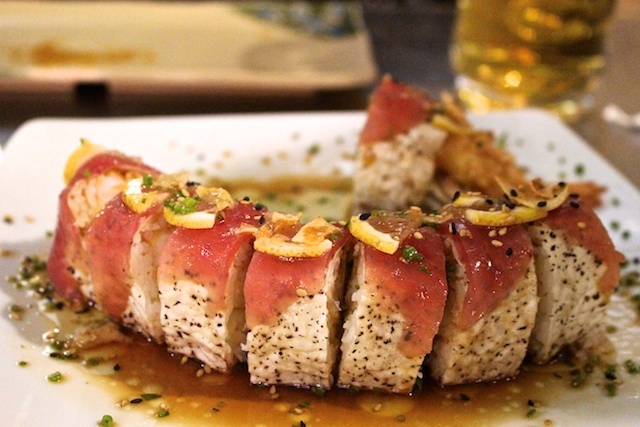 But at Koi Sushi—in a food court, next to a Walmart in Cabo San Lucas, Mexico—chef-owner Angel Huerta Ramirez fashions amazingly creative plates of affordable fare, featuring local wahoo and other creatures of the sea. I don’t eat dessert. 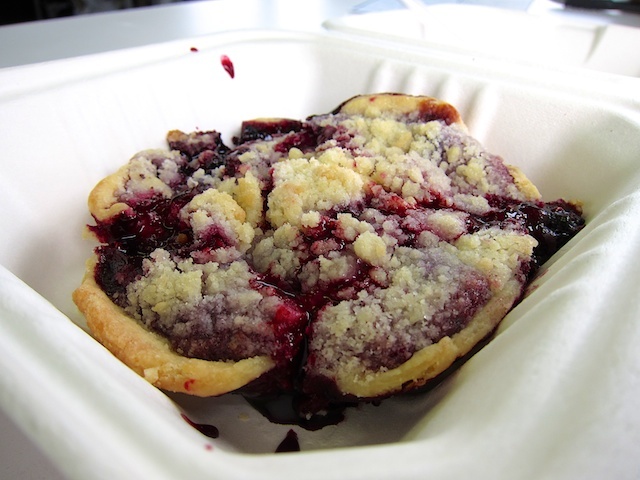 But when I’m offered a taste of a wee blueberry-raspberry pie with a port reduction sauce, at The Street Grill truck in Richland, Washington, I ignore spiking blood-sugar levels and keep shovelling till there’s not a crumb left. Cast your eyes on this blueberry-raspberry, port-reduction pie and jump in your car. Among the many pints and 22-ounce bombers I sampled on the road, the standout was a complex, flavour-filled Widmer Brothers Brewing (Portland) ale aged in bourbon barrels. Honourable Mention: The combination might seem odd, but Wild Rose Brewery’s (Calgary, Alberta) seasonal cherry porter was a knockout. I stocked up on the one-litre bottles while they lasted. 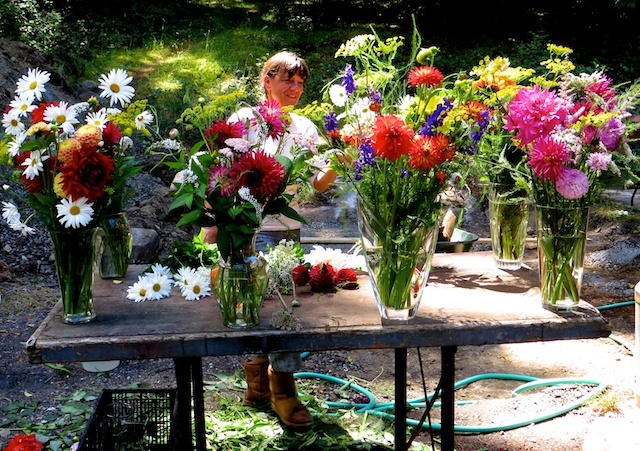 At Farm Gate Store, on B.C’s Mayne Island, the divine grilled sandwiches are just the exclamation point on a fabulous rural shop that features local produce, meat and killer flower arrangements. 568 Fernhill Road, Mayne Island, B.C. Why would I drive 1,100 kilometres (620 miles) for a meal? When it’s the best Mexican food I’ve devoured all year and served by wonderful owners Bertha Moreno and daughter Jessica. I thus trek all the way from Calgary not once but twice in a three-month span, to Morenita’s Mexican Restaurant, in Idaho Falls of all places. Sure, I was headed on to other destinations. But nothing made me happier in 2014 than plunking myself down at a nondescript Morenita table and letting Jessica keep bringing me fantastic plates of inventive Mexican food. Like an unforgettable taco ranchero—an open, crispy corn tortilla piled with sauteed pork loin, salsa fresca and avocado, doused with house-made sauces, all for $2.50. Things were going so well, I threw caution to the wind and ordered a sampler bowl of menudo, something I swore I’d never touch again after a rubber-band greasefest with my appalled sisters in some dusty Mexican village. Here, the broth is perfectly seasoned, the little hominy balls a delightful surprise and the, gulp, beef tripe sufficiently tender I might order it again. Just not for a year or two. This entry was posted in Alberta, American restaurants, Bakeries, beer, breakfast, British Columbia, burgers, Cabo San Lucas, Calgary, California, Edmonton, Idaho, Idaho Falls, Jasper, Kennewick, Las Vegas, Logan, Los Angeles, Mayne Island, Mexico, Nevada, Oregon, Portland, Richland, road food, Road trip food, Sacramento, salmon, Sandwiches, Taco trucks, Tri-Cities, Utah, Walla Walla, Washington, Whistler and tagged Best Cheap Eats of 2014 on December 23, 2014 by bcorbett907. This is about as incongruous as it gets. 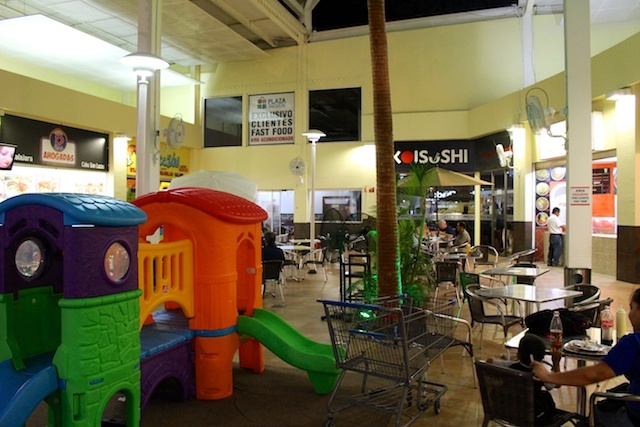 A sushi place in a fast-food court, beside a Walmart in the Mexican tourist mecca of Cabo San Lucas. But *Koi Sushi is by no means generic. In fact, it may be the best, most inventive sushi I’ve ever had. And a growing number of folks agree, some flying in from Los Angeles just for a feed of chef-owner Jose Angel Huerta Ramirez’s fusion take on Japanese classics. There is a menu, but it’s best to let Jose come up with what the catches of the day and his imagination dictate. Just sit back and watch a succession of amazing dishes arrive. 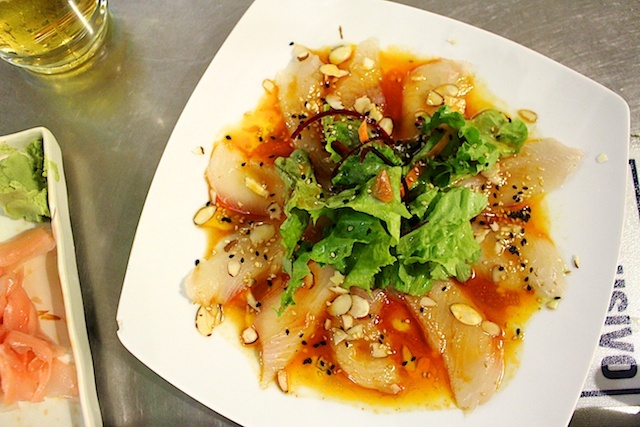 Like thin strips of wahoo (a fabulous local fish) encircling avocado slices and bits of serrano chile. 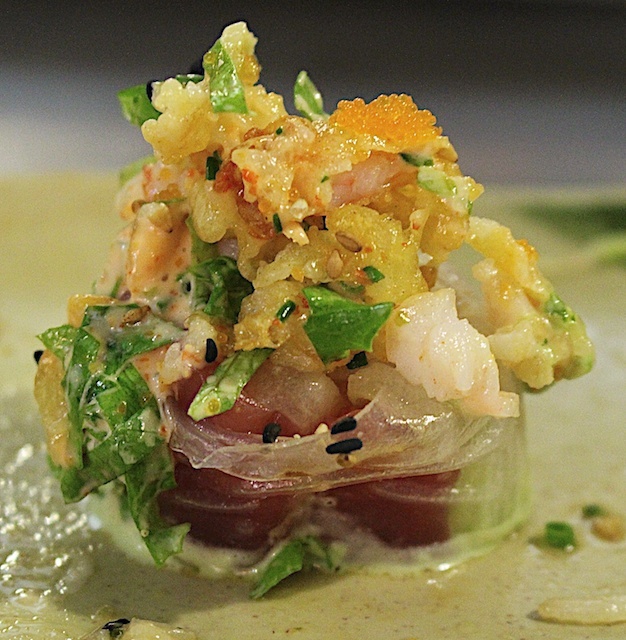 Or tuna and crab wrapped in a shrimp tempura, providing a contrasting crispness to the raw goodness inside. Or a shrimp roll topped with salmon roe and floating on a cilantro-jalapeno sauce. It’s a veritable feast of some six dishes that sets us back only $30 a person, drinks included. Actually, the only thing I’d forsake here is the sake. You can sit inside at one of a handful of tables, close to where Jose is conjuring his magic. But there’s something wonderfully discordant about eating this fabulous fare in the mist-sprayed outdoor food court, where Chinese food is being served in styrofoam boxes and a lone, electrified musician is playing Guantanamera. 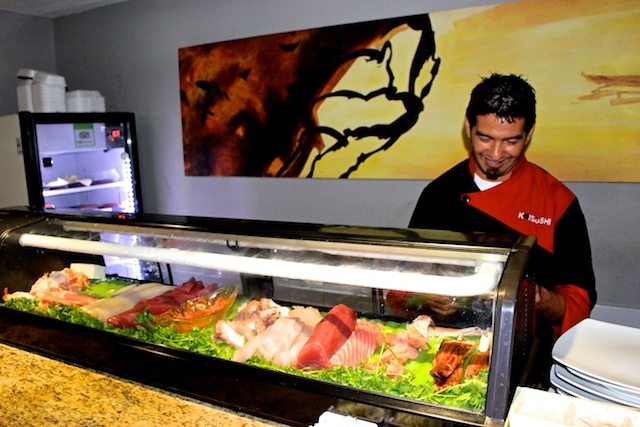 Jose was apparently a chef at the upscale Nick-San sushi joint in Cabo. He left to set up his own, affordable shop, where diners unconcerned about the mall surroundings wisely give him all the freedom he desires. This entry was posted in Cabo San Lucas, Mexico, Sushi and tagged Cabo San Lucas Mexico on December 19, 2014 by bcorbett907.